in this edition of the Newsletter, you will find news about AEGEE’s participation in the EU Youth Conference in Dublin and about us joining the Civil Society Platform on Mulitlingualism. Also, you will find two new sections: Open Calls, which will show you the opportunities there currently are to get more involved, and the AEGEEan section, where you can find current articles from our online magazine. 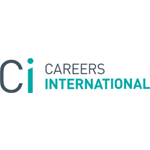 Finally, in the external section, this time you can find job opportunities from Careers International as well as an opportunity for scholarships in Germany. AEGEE as participated in the consultation round on youth and social inclusion in the Structured Dialogue on Youth under the Irish EU presidency, culminating in the EU Youth Conference taking place from March 11th-13th in Dublin. Bringing together the results of the consultation of the National Working Groups and the International Youth Organisations, 150 young European have discussed with 100 policy makers and came up with 21 conclusions regarding the improved inclusion of youth in society. Another strong recommendation was to ensure equal, free of charge and quality education from primary to tertiary levels regardless of the students’ background. On Friday, 8th of March, Nico Huurman and Kathrin Renner attended the meeting of the Civil Society Platform on Multilingualism which AEGEE joined recently as associate member. The platform was established in 2009 with the purpose of promoting multilingualism in Europe and serve as a forum for the exchange of best practices among non-governmental organisations in the fields of multilingualism in relation to culture, media, non-formal and informal education. Since 2001 AEGEE has been involved in the promotion of languages in Europe with activities such as the European Day of Languages, initiated by the council of Europe, and language focussed Summer Universities. In 2012, a new language working group was established. This is why AEGEE reacted to the open call for new members to join the platform. AEGEE has been selected and we will play our role representing especially the voice of youth there. In this meeting of the platform, the European Commission presented the latest developments of language policy in the context of the Rethinking Education Strategy and the Erasmus for All proposal, as well as consulted the members of the platform on issues such as quality assurance of language teaching in formal education, recognition of non-formal and informal ways of language learning and inclusivity of language teaching in Europe. For already quite some time, AEGEEans have been working on the preparation of a project on the European parliamentary elections taking place in June 2014.YVote 2014, the new edition of on of our most succesful projects in recent years, YVote 2009, will kick of at Agora Rhein-Neckar. Of course, the new project will have some innovations. The project will have the aim of turning FIRST-TIME VOTERS AND STUDENTS INTO ACTORS OF THE EUROPEAN PARLIAMENT ELECTIONS OF 2014 BY INFORMING AND ENCOURAGING THEM TO PARTICIPATE. The new project team is still looking for team mebers for the positions of Financal Manager, Communications Coordinator, Fundraising Coordinatoer, and Quality Assessment Coordinator. Europe in Exchange (EiE), AEGEE-Europe project, aims at bringing all the students and young people in Europe and neighbourhood countries the possibility to take part in mobility programmes. Europe in Exchange wants you to help to promote mobility programmes and make easier for students to participate during 2013 (both during this and the next semester). Therefore, we proudly invite you to collaborate with us in organizing some of our actions at local and European level! OPEN CALL Members of IT Committee (also for Non-IT)! IT Committee is looking for fresh and motivated members willing to get involved in exciting AEGEE world of IT! ITC is open to all members who are willing to deal with AEGEE IT infrastructure and services but not only, also to those which are interested in how to use Web 2.0 tools or in Internet Governance topic, which deals with topics, like privacy, freedom of expression, censorship or copyright. Sustainable development… Green growth… Sustainability… The air is packed with sustainable buzzwords and it is hard to open a newspaper these days without finding an article on some sustainability topic. Regardless of the many empty uses ofthe word, it cannot be denied that sustainability is the challenge of our generation, as was confirmed by over 40% of respondents in the recent AEGEE Survey on sustainability. The Lesbian, Gay, Bisexual, Transgender (LGBT) topic is one of much controversy. In a world in which LGBT’s can marry in only eleven countries, there is still much to be done for equality in this field. Even within AEGEE, as the survey on homophobia shows, 8% of the members considers violence directed at LGBT’s justified because of their sexual orientation. AEGEE-Utrecht: Reliable Media – Myth or Reality? The world develops constantly and causes the changes of values, that people have. Scientists call our modern society “information & media-oriented”, because information has recently become the most important value. But is all the information useful? AEGEE-Utrecht tries to find the answer to this difficult question. Read about the EPSCO Council’s recommendation for the Youth Guarantee and social inclusion consultation conclusions in preparation for the EU Youth Conference. 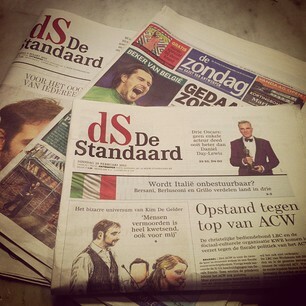 Read also about developments of a Macedonian Youth Council, European Equal Pay Day and much more! Are you open to a great and unexpected career move? If you are an engineering graduate and have up to two years of experience in a leading company, then top players from all over Europe are waiting to talk to you about their best jobs. events” between March and July 2013 and have the opportunity to interact with employers from your desk. For more information, visit http://www.careersinternational.com/. and seminars and will work in international and interdisciplinary teams on current topics in the European context. The financial support of the Studienkolleg is 800 €. The aim of the scholarship is to create a European network of outstanding and talented young citizens. Application deadline is the 1st of April 2013. All applicants have to have good knowledge of German. For more Information, visit: http://www.studienkolleg-zu-berlin.de. Europe & Me (http://www.europeandme.eu) is Europe’s first online lifestyle magazine from young Europeans for young Europeans. (short one, ideal for social media). “Contributors” are the people who produce the content of the magazine. You want to see your name at the top of a E&M article? You want to draw the world for E&M? You want to use your style to mould the design of E&M? Then you want to work at the heart of the magazine as a contributor. Most contributors are authors or writers, some are photographers, filmmakers, cartoonists, proof-readers, copy editors, and much more. In 2010 the UN Environment Programme’s (UNEP) World Environment Day campaign sponsored an amazing trip for a green blogger, Tuesday Phillips, to go to Rwanda. In 2011 it was Ximena Prugue who won the prize to go to India. For 2012, Scott Bartlett got to blog about World Environment Day from Brazil. This year, we are looking for the next green blogger to take the campaign to the next level. UNEP, in partnership with TreeHugger, invites you to enter the 2013 World Environment Day blogging competition by writing an inspiring blog on this year’s theme: Think.Eat.Save. The task is to call for heightened awareness and immediate action to reduce food waste and loss across the food supply chain. There is so much to blog about! Our partner BEST has designed a survey aimed at defining the needs of students to better adapt youth organisations to them. It’s primarily adressed to Engineering students, but can be filled out by anyone. The results are also highly valuable for AEGEE and will be shared with us. Contribute and fill it in until the 20th of March 2013.